Zut alors, I do not know what it was, maybe it was the excitement of voting yesterday. But I could not sleep last night. ... tea which I had bought with a coupon last week. It did not work! I would have drunk whiskey but it was 3:30 a.m. and when it gets past 3 a.m. it is unseemly. I prayed the Rosary, the Glorious Mysteries. I prayed the Joyful Mysteries. I read a book about Mozart called "Mozart At the Gateway To His Fortune." It was kind of tough going which began to irritate me. I mean, anything about Mozart is interesting to me so if I have to slog through it, it is the fault of the Author, not me. Finally at about 5 I worked on my book. Leonard Pennario is calming to think about and so is the idea that come hell or high water at least you are getting work done. That is a comforting thought and at last I went to sleep around 7. I should have drunk that whiskey! 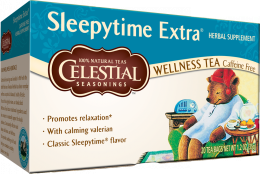 I used that same coupon too and bought more Sleepytime, but it doesn't seem to have much of an effect. I thought maybe the placebo effect would happen where because it says "sleepy" it would trick my brain into thinking it was true! Not the case. Maybe this is the Spring season's way of saying we should be up and plowing the fields or something. Julia, we are too smart for that tea. You're right, maybe we should be out there plowing. See you in the fields!